Are you taking on a long range trip? If so, then you’d be delighted to find how the private Gulfstream G450 can take you far in style. This jet can seat up to 13 passengers and it’s complete with the facilities to ensure you’ll have a comfortable flight. Its standard features include a galley with small appliances such as a coffee maker, microwave oven and chiller to prepare and store your food. The aircraft also has cutlery and related materials so you may relish your food during your 6-hour flight. The Gulfstream G450’s interiors are also comfy enough for you to sleep in. Its passenger seats can be reclined and these have in-flight entertainment systems for you to enjoy. The pull out tables may be used for relishing your meals or as platforms for your laptop. Another standard feature which this aircraft has would be its WiFi connection. The internet connection lets you stay in touch with friends, family and professional networks. 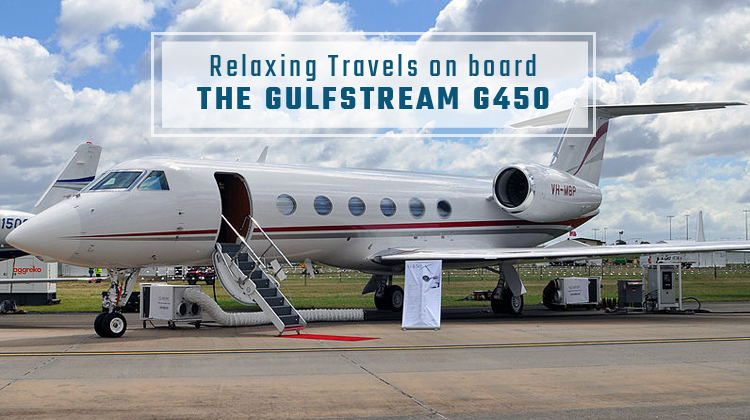 Know more about the Gulfstream G450’s specifications and schedule a flight on board this private plane today. As you hop on board the Gulfstream G450, you’ll find how this aircraft has passenger seats which come with lengthy legroom. These let every passenger stretch out his or her feet, and stay relaxed throughout the flight. The seats may be comfortably used for working, along with the pull-out side tables, which can be used as laptop platforms. Divans may also be transformed into beds, depending on the initial configuration of your chosen operator. To make the most of your upcoming flight, it’s always best to ask about your private Gulfstream G450’s specifications from your operator. Chartering for a private Gulfstream G450 means you can reach as far as Sofia, Bulgaria or Moscow, Russia if you’re coming from Toronto, Canada. If you’ll happen to max out the range of this aircraft, it would be best to inquire about its allowable passenger count and luggage weight. This way, the best possible combinations of routes and schedules may be prepared as part of your flight plan. Generally, a lighter aircraft leads you reach farther destinations at much faster paces. Given its performance details, it’s awesome to find how the Gulfstream G450 can reach its maximum height in just less than 15 minutes. 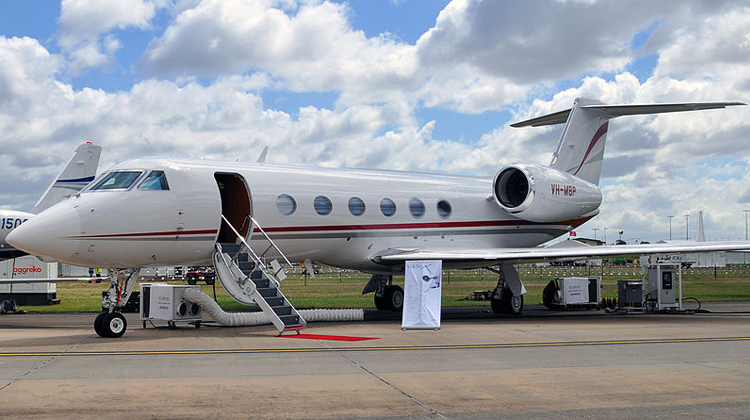 Manufactured by Gulfstream Aerospace, the Gulfstream G450 forms part of the Gulfstream IV family. It was first FAA-approved to be flown in 2004 with a much longer fuselage. Primarily, the aircraft was introduced at the annual meeting of National Business Aviation Association in 2003. By then, the Gulfstream G450 became known to be an even more improved version of the already exceptional selections of Gulfstream GIV, GIV-SP and G400. If you’re going for a long-range flight, the Gulfstream G450 can let you do so in style. This internationally geared aircraft lets you stay relaxed, amused and productive throughout 6 hours’ duration of flight. Book your very own, private Gulfstream G450, see our system below and get your very own live quote today.